As a Whirlpool brand, Roper offers basic and reliable home appliances at affordable prices. With simple designs and a low price point, Roper appliances provide customers with what they need to get chores done quickly and easily. Known as “workhorse” appliances, Roper offers dependable construction and sensible designs that compliment all homes. Basic features keep confusion to a minimum, ensuring Roper appliances are some of the easiest and hassle-free to use. Because it is a Whirlpool brand, customers can trust Roper will provide the same well performing and long lasting appliances. Ease, affordability, and simplicity build the solid foundation for Roper appliances. Customers can depend on Roper to the job done right. 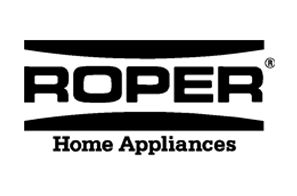 Even though Roper is known for reliability, its appliances can still break down after years of steady use. Repairs may be needed years after appliance warranties expire. The spin cycle in Roper washing machines are known to fail and the icemakers on Roper refrigerators malfunction overtime. Fast Appliance Repair offers repairs for quality brands like Roper—we repair stoves, refrigerators, dryers, washers, dishwashers, ovens, microwaves, cooktops, and more.